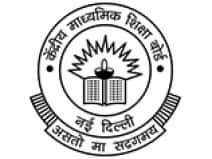 Central Board of Secondary Education (CBSE) conducts examinations of Matriculation and Inter examinations. The Class 10 and 12 exams under the CBSE will start from March 5. The class 12 exams will end on April 12 and class 10 on April 4. The entire exercise will be completed in 38 days that will give more time for evaluation. A total of 28.24 lakh students have registered for the class 10 and 12 exams. For class 10, a total of 16.38 lakh students, including six transgender students, have registered. A total of 11.86 lakh, including 2 transgender students, are scheduled to appear for class 12. The class 10 board examinations will be mandatory from this year after a gap of seven years. In 2009, the human resource development (HRD) ministry had said the class 10 exams will be made optional, and this option started in 2010-11. However, students were given the option to appear for the board exams on demand. This year for the class 10 board exams, while 80% weightage will be given to the exam, 20% will be for regular class performance. CBSE 10th Result 2018 is declared and CBSE 12th Result 2018 is declared. Students can check the results of the 10th, 12th Board Examination on www.livehindustan.com . Apart from this, the results can be checked on the official website of the Board.